TPS Locksmiths Cardiff - Locksmith, Windows/Doors/Conservatories based in Penylan, South Glamorgan. 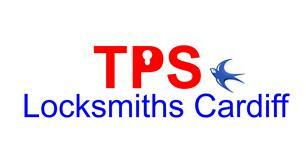 TPS Locksmiths Cardiff are based locally in Penylan. We are an experienced locksmith and security business, offering a range of domestic and commercial locksmith services such as domestic access control, UPVC repair, window restrictors, safes, padlocks, security locks and lock changing. Offering an emergency locksmiths service, providing full 24-hour locksmith call out. TPS Locksmiths Cardiff are thee whenever you need an experienced locksmith. We have over 14 years in the business dealing with a range of clients across Cardiff and South Glamorgan, offering all your domestic and commercial locksmith needs. Owner and Locksmith for over 14 years.